After the forced stop of building gliders after WWII, Schempp-Hirth started renewed success with the Standard Austria S ('S' stood for Schempp-Hirth), a license production of the Austrian Aero-Club's design, which had won the OSTIV award at the World Gliding Competitions of 1960 in Cologne, Germany. 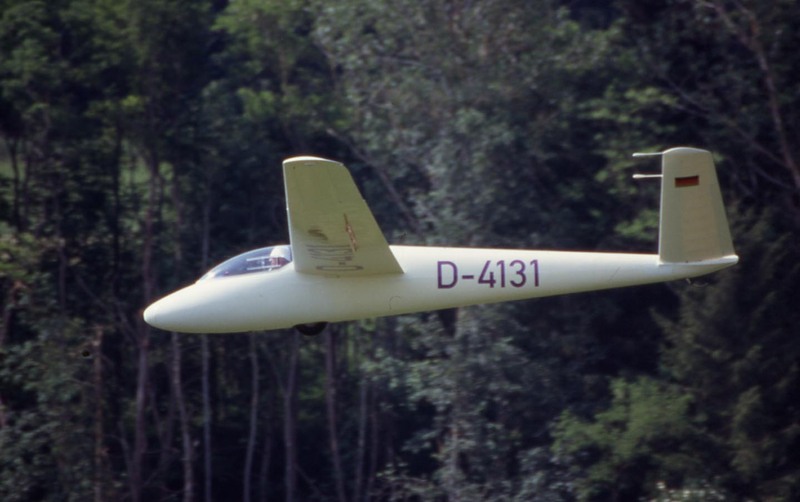 In roughly two years, Schempp-Hirth built 30 gliders before renewing the glider's wing profile with the glider's successor Standard Austria SH. The Standard Austria S was a composite construction: While the wing was designed in a carrying wood panelling construction with very high surface quality and the main spar build from many longitudinal stringers, the front of the fuselage was already built in shatterproof glassfibre-reinforced plastic. In 1964, Martin Schempp was looking for a designer to improve the Standard Austria H, so Klaus Holighaus came to Kirchheim and design the Standard Austria HK ("SHK"), which increased the wingspan by two meters and extended the aileron towards the wing tip. It's test flight, performed by Klaus Holighaus himself, nearly ended in disaster: The glider couldn't be taken out of a strong spin movement. Only once the pilot had nearly evacuated the glider to rescue himself via parachute, the spin movement stopped. Only much later, during the Cirrus test flights, it was found out that these problems lay in the perils of a V-tail. The SHK became on of the best open class gliders in Germany.